← In the Age of Science Can You Still Be Responsible? Antonio Rosmini-Serbati was a part of the Italian Idealist movement and focused his work on repairing the damage done by the Enlightenment to religious belief -- an emphasis that was very popular in the seventeen and eighteen hundreds. 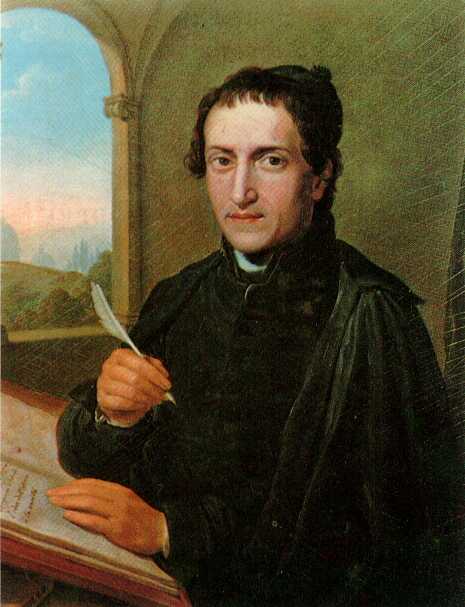 Rosmini can be seen as a part of the tradition of Kant (Hunnex) and a father of modern idealism. Rosmini held that philosophy is essential to sound thinking and to sound theology. The Enlightenment focused on "rationalizing" rather than on reason and thus bastardized philosophy which led to corruption. He held that the idea of being as a singularity along with whatever can be understood from that idea is necessary to ground the intellect. Rosmini thought the Greeks and Kant were excessive in their explanation of thought and Locke and Reid were deficient. He believed that certainty in knowledge was possible through a rigorous pursuit of sounds argument (this forms a basis for his view of the dignity of humans and their "transcendence." He spent a good deal of his energy pursuing a study of the dignity of the human person. The human is a hybrid of subject and object. The former is "that which feels" (soul) while the latter is "that which is felt" (body). This along with will is the essence of the human. He defended the belief in the existence of God but preferred a priori proofs over a posteriori ones. Rosmini was an Italian priest, philosopher, and theologian. Today's Quote: "The human being is a knowing and feeling subject whose will, as supreme principle of activity, provides the basis of the incommunicable individuality that constitutes each real human nature as a person."